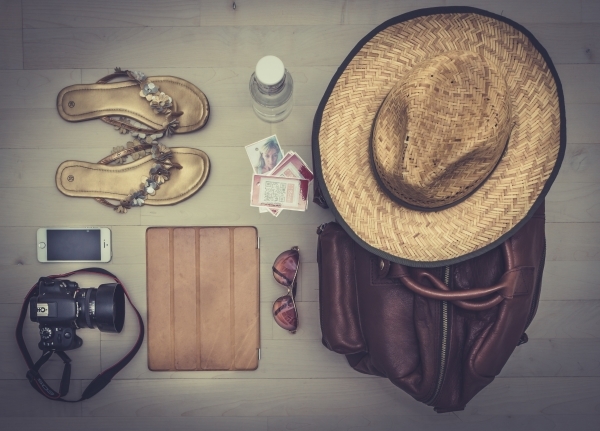 Summer holidays season is coming to its end, but it doesn’t mean that the vacations are over. Lots of people continue to travel around the world the whole year. We want to help making your preparation for the trip faster and easier and the vacation careless, that is why we are piling up all the helpful applications and services and sharing them with you! You can still find everything with Google Search, but it’s time to say goodbye to hours of searching and burying yourself under a huge pile of bookmarks and thousands of open tabs. Google has perfected its travelling search features on mobile, which is a great help when you want to find all the needed information about the trip and make all purchases and bookings in the same place. Note: You can set preferable dates, interests and budget in the settings. Clicking on a particular flight will take you to Google Flights where you can book and buy your tickets. Easy like that! Wherefor is a web service that helps you finding a perfect places to stay when travelling based on your budget. Type in the amount of money you have, number of people going with you and a department place, click Search Destinations and you will see affordable options. Peek (iOS app, web) is the ultimate search tool for fun activities from all around the globe. Book tours, excursions and more - find the best activities in the place you are visiting, read reviews, and get the best deals. This application for iOS and Android helps parents make sure their children are safe and keep contact with them while they are resting on sunny beach. DogVacay is a trusted service for finding a perfect sitter option for your dog. Daycare, Dog Walking, House Sitting, Boarding, what have you - there you will find a sitter for your specific needs. Book and pay safely online. Hitlist is an iOS applications that finds cheap airplane tickets to your dream destinations, quite useful for last minute flights. The app notifies you via push-up notifications about the most recent fair deals, shows you weekend sales and the cheapest tickets after you pick your location and the closest airport. Get The Flight Out with this amazing iOS app. If you want to be a little spontaneous and live with the next airplane anywhere, this application definitely for you! Overnight is a perfect application for spontaneous road trippers that connects you with local hosts. Verified reviews, stays-in for up to 5 days, hosts answer to your request within 10 minutes. It resembles Couchsurfing and Airbnb a lot, but created specifically for finding same day places. After your trip is over, don’t forget to download your vacation pictures and find new photos of the sights you’ve seen with 4K Stogram. Get it for your Windows, Mac OS X or Linux here and save precious pics instantly. No toolbars, no adware, no malware .